In the absence of royal initiative in England, however, there were others who were willing and able to wield the strength derived from a force of ships to intervene in the increasingly complex struggles between competing factions and claimants to the throne. This is most clearly seen in the case of the Earl of Warwick, but the Duke of Burgundy and the king of France were also prepared to provide naval forces to support their favoured candidate for the English throne. Richard Neville, Earl of Warwick had been captain of Calais since 1456 and had taken the opportunity afforded by a relatively secure base to build up a squadron of ships. These were used in the manner most likely to advance the fortunes of the Earl himself and the Yorkist cause, which, at that time, he supported. To many English men his naval exploits in the Channel were a welcome sign of ‘enterprise upon the see’. Jack Cade’s proclamation in 1450 at the outset of the Kentish rebellion had bewailed the facts that, ‘the sea is lost, France is lost’. The French raid on Sandwich in August 1457 had been a humiliating reminder of the impotence of English defence. Now John Bale, himself a merchant and a ship-owner, could laud Warwick in his chronicle, praising his ‘greet pollecy and dedes doyng of worship in fortefieng of Cales and other feates of armes’. To modern writers Warwick’s deeds seem at least semi-piratical but to his contemporaries his attack on a Spanish squadron of 28 sail off Calais in early June 1458 and his taking of around 17 prizes out of the Hanse fleet returning with Bay salt later the same summer were victories to savour. It even seems not to have affected his reputation that the first engagement was not entirely successful. John Jernyngham’s letter to Margaret Paston which gives details of the encounter, recounts how he and his crew boarded a large Spanish ship but were unable to hold her. He concludes, ‘and for sooth we were well and truly beat’. The point to contemporaries was that Warwick, who was in fact bound by an indenture of November 1457 to keep the seas, seemed to be acting energetically and speedily even if not all his opponents were clearly ‘the londes adversaries’. His activities in 1459 and 1460 demonstrate with greater force the way in which the possession of a squadron of ships with experienced crews was greatly to the political advantage of both Warwick personally and the Yorkist cause. After plundering Spanish and Genoese shipping in the Straits in the summer of 1459, Warwick, who had joined the Yorkists in England, seemed to have miscalculated when he was forced to flee from the battle of Ludford Bridge. He reached his base in Calais safely, however, and from that point acted with great skill. Lord Rivers and Sir Gervase Clifton for the king had by December managed to impound Warwick’s ships in Sandwich harbour. The Crown also mustered a small force under William Scott to patrol off Winchelsea to repel any attack by Warwick. Warwick had many friends in the Southern counties, perhaps beneficiaries of his earlier actions in the Channel. Through them he was well aware of the Crown’s plans. In January a force from Calais commanded by John Dinham, slipped into Sandwich early in the morning, while Rivers was still abed, and persuaded Warwick’s erstwhile shipmasters and crews to return with them to Calais. The royal government attempted to counter this loss by commissioning further forces to serve at sea against Warwick. The Duke of Exeter in May 1460 in fact encountered Warwick’s fleet at some point to the east of Dartmouth and arguably had the opportunity at least to damage very severely the Yorkist cause if not put paid to it entirely. Yet as the Great Chronicle of London put it ‘they fowght not’. Richmond sees this as ‘one of those critical moments when action was essential but was not forthcoming’. In his view Warwick had what the Crown did not, a fleet and a fleet which was used to keep the sea. 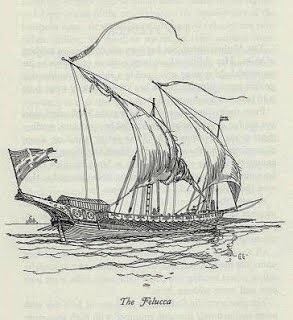 The use of that fleet was an important factor in the course taken by the domestic politics of England and to Richmond sealed the fate of the Lancastrians. In 1470, Warwick was personally in a much weaker position. He may still have had some vessels of his own; on his flight from England, after the failure of his intrigues on behalf of the Duke of Clarence, pursued by Lord Howard, he had taken prizes from the Burgundians. He could not, however from his own resources hope to mount an invasion of England to restore his new master Henry VI. He and Queen Margaret were dependent on the aid of Louis XI of France to provide such a fleet. This aid was forthcoming because of the seeming advantage to France in the restoration of the Lancastrians and their adherence to an alliance against Burgundy. Both English and Burgundian naval forces, however, were at sea all summer in an endeavour to keep Warwick’s French fleet in port. Their efforts seemed successful; by August Warwick’s men were demanding their pay and the people of Barfleur and Valognes had had enough of their presence. A summer gale then dispersed the Yorkist ships at sea and Warwick sailed across unopposed landing on 9 September near Exeter. By the end of the month Edward IV was himself a fugitive restlessly watching the North Sea from his refuge at Bruges with Louis de Gruthuyse, the Burgundian governor of Holland. If he in his turn was to regain his throne his need also was for ships. The Duke of Burgundy was perhaps more discreet in his support for his brother-in-law than Louis XI had been for his cousin, Margaret of Anjou. In March 1471, however, Edward left Flushing with 36 ships and about 2000 men and once ashore at Ravenspur by guile and good luck recovered his Crown. In the 20 or so years from 1455, therefore, it can be argued that the possession of the potential for naval warfare could be of great advantage to those who wished to be major players in both internal and external politics. No very great or glorious encounters between the vessels of rival powers took place in the Channel or the North Sea. The typical action was that of the commerce raider; a brief violent boarding action ending probably in the surrender of the weaker crew in an attempt to save their skins. Kings and other rulers possessed very few or no ships of their own and were reliant on the general resources of the maritime community. Yet, despite this, the perception of the pressure, which could be exerted by a fleet in being, was more widely appreciated. Warwick has been held up as the individual whose actions demonstrate this most clearly and it is hard to argue against this opinion. He, perhaps, until the fatal moment on the field at the battle of Barnet, also had luck. Would he have fared well if Exeter had attacked off Dartmouth in 1460? The reasons for Exeter’s loss of nerve are not really clear. Exeter had many warships including the Grace Dieu, built by John Tavener of Hull and formerly Warwick’s own flagship. The Great Chronicle of London speaks vaguely of Exeter’s crews being unwilling to oppose Warwick while the English Chronicle states baldly that Exeter was afraid to fight. Waurin, a Burgundian chronicler, has a circumstantial account of Warwick approaching the coming conflict with great circumspection, sending out fast small vessels ahead of the main fleet to gather intelligence and then calling a council of war of all his ship masters.47 The decision was taken to attack with vigour and maybe the sight of Warwick’s ships coming on at speed with the advantage of the wind terrified Exeter. His lack of courage was certainly a disastrous blow for his party. On a wider canvas, the situation in these waters as far as the relations between rulers goes has become much more open. In the first third of the century the conflict between England and France was the dominant factor with other states being drawn in as allies of one or the other combatant. After the middle of the century states pursued their own commercial and political interests in a more fluid situation. Naval power was diffuse, not necessarily concentrated in government hands, and the advantage might swing quickly from one state or group of traders to another. The ship occupies a unique position in the Islamic tradition. The Qur’an counts it among the ayat (miracles) of God and devotes twenty-eight verses enumerating its benefits to mankind. The generic Arabic words for ‘‘ship’’ that appear invariably in the classical Arabic sources are markab (lit., a conveyance or riding vessel), safýna, and law (lit., a board or plank of wood); fulk (Ark), which is another term to denote a ship, is Qur’anic. It may be surmised that some of the variations are more linguistic than physical and that professional sailors and experienced sea travelers could appreciate the actual sailing characteristics of each type of vessel. A typical seagoing merchant vessel had to carry on board many anchors, appropriate hawsers and ropes, canvas and/or cotton sails, masts, oars, rudders, and draw bridges (for greater ease in embarking and debarking), in addition to nautical instruments, pilot books, and charts. Oversized vessels had to have service boats on board for the transport of goods to the quayside. Identical rules applied to ship sales and purchase contracts. Both parties to the contract had to specify the vessel’s tackle and navigational instruments in the bill of sale. When signing a contract to lease a specific vessel for the conveyance of cargo, shippers were most concerned with the seaworthiness of the ship, besides other considerations such as the freight tariff. Seaworthiness of a ship was associated with the equipment and amount and proficiency of the crew it was required to carry. The design, structure, condition, and equipment of the ship had to be suitable for carrying goods of a particular kind and bringing them safely to their destination. Meaning, it had to be technically able to encounter the ordinary perils of the voyage. Concerning the crew, bringing the carriage into completion required a lessor to recruit a competent master and professional complement to navigate the vessel under various circumstances; a ship that was powered by unskilled mariners could certainly be regarded as unseaworthy. The office of Islamic muhtasib (market superintendent) supervised, among other duties, the construction of ships at the shipyard and carriage by sea. The muhtasib was helped by assistants called ‘urafa’ al-sina‘a (arsenals’ inspectors), whose main task was to insure the shipwrights’ observance of technical standards and prevent them from using inferior and inadequate raw materials. Exacting and thorough inspections were carried out to avoid human and financial losses. Whoever violated these regulations was punished. While the ship was still in the yard, a comprehensive technical inspection had to be carried out by the muhtasib (see Markets), the captain, and the ship’s scribe. Islamic law entitled sailors and lessees to not honor a leasing contract if a technical defect was discovered in the ship. The working hours of carpenters, including shipwrights, began late in the morning and ended before evening. Thus the inspection of commercial ships took place between sunrise and sunset, but not in the evening and prior to the loading processes. The amount of cargo the ship could properly carry was determined by the muhtasib. When the cargo was stowed and placed appropriately and the ship was ready to depart, an official examination to prevent overloading was requested by the muhtasib, or his representative, and the captain. The hisba manuals plainly state that ‘‘a ship can be freighted with cargo as long as the waterline (plimsoll) alongside the outer hull is visible.’’ Islamic law requires that each ship be marked with a load line to indicate how deeply the ship could legally be submerged. The waterline mark along the outer hull could not lie more than a certain depth below the surface of the water. The provision against overloading was intended to prevent not only sinking but also the overexertion of the rowers. Types, dimensions, and technical constructions of ships varied in accordance with their purposes and bodies of waters they plied. Nukhayli counts more than 150 nautical crafts, including river crafts, coasters, and oceangoing and seagoing vessels that differed in their structures. Recent underwater archaeological excavations off the Palestinian, Turkish, and French coasts have shed further light on the Islamic technology of shipbuilding from the seventh century CE onward. Material and written evidence show that the length-to-beam ratios of a typical size of commercial vessel were usually 3:1 or 4:1, with a shallow keel and rounded hull; the wide beam relative to the length aimed to provide maximum storage for cargo. Shipwrights in the Islamic Mediterranean employed the skeletal-building method in all stages of the hull’s construction. All the frames were in place before the wales and upper side planks were added. At some point after side planking began, the open area between the bottom and sides was covered with an odd configuration of strakes, at least three of which did not run the full length of the hull. When planking was completed, they were caulked with a mixture of pitch or tar. After all the floor timbers were in place, the keelson was bolted between the frames and through the keel at irregular intervals with two-centimeterdiameter forelock bolts. Then stringers were added to the floor of the hold, on which a removable transverse ceiling was placed. Next came the side ceiling, clamps, and deck beams. The major difference in the construction techniques and methods between the Islamic Mediterranean and the eastern part of the empire is in reference to planking. 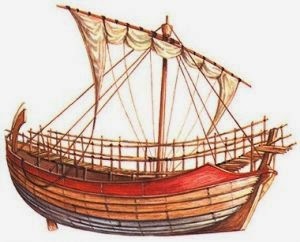 The ship’s planks in the Red Sea and Indian Ocean were sewn together with ropes, while in the Mediterranean, iron nails were used. The lateen sail was a distinctive feature of the rig of Islamic ships in the Mediterranean. The materials needed for shipbuilding were found within the Islamic domain. For instance, Egyptian shipwrights used different types of timber—lebek, acacia, fig, palm, and lotus, which were abundantly found in Egypt—in their arsenals. Later. and due to deforestation processes, cedar, pine, and other timbers were imported from Palestine, Lebanon, Asia Minor, and Europe. Furthermore, a closer look at the arsenals’ locations prove that beyond strategic considerations, they were situated near forests and areas rich in mining. Baghdadý, ‘Abd al-Latif (557–629/1162–1231). Al-Ifada wa’l I‘tibar. Translated into English and edited by Kamal H. Zand et al. London: George Allen & Unwin, 1965. Bass, George, and Frederic H. van Doornick. ‘‘An 11th Century Serc¸e Liman, Turkey.’’ The International Journal of Nautical Archaeology and Underwater Exploration 7, no. 2 (1978): 119–132. Christides, Vassilios. ‘‘Byzantine Dromon and Arab Shini: The Development of the Average Byzantine and Arab Warships and the Problem of the Number and Function of the Oarsmen.’’ Tropis 3 (1995): 111–122. ———. ‘‘New Light on the Transmission of Chinese Naval Technology to the Mediterranean World: The Single Rudder.’’ In Intercultural Contacts in the Medieval Mediterranean, edited by Benjamin Arbel, 64–70. London: Frank Cass, 1996. Constable, Olivia R. Trade and Traders in Muslim Spain: The Commercial Realignment of the Iberian Peninsula 900—1500. Cambridge: Cambridge University Press, 1994. Delgado, Jorge L. El poder naval de Al-Andalus en la e´poca del Califato Omeya. Granada: Universidad de Granada, 1993. Dickson, H.R.P. The Arab of the Desert. London, 1959. Fahmy, Aly M. Muslim Naval Organisation in the Eastern Mediterranean from the Seventh to the Tenth Century A.D. Cairo: National Publication & Printing House, 1966. Flecker, Michael. ‘‘A Ninth-Century A.D. Arab or Indian Shipwreck in Indonesia: First Evidence for Direct Trade with China.’’ World Archaeology 3, no. 32 (2001): 335–354. Goitein, Shelomo D. A Mediterranean Society: The Jewish Communities of the Arab World as Portrayed in the Documents of the Cairo Geniza, Economic Foundations. Berkeley: University of California Press, 1967. Hocker, Frederick M. ‘‘Late Roman, Byzantine, and Islamic Galleys and Fleets.’’ In The Age of the Galley: Mediterranean Oared Vessels since pre-Classical Times, edited by Robert Gardiner, 86–100. London: Naval Institute Press, 1995. Hornell, James. ‘‘A Tentative Classification of Arab Sea Craft.’’ The Mariner’s Mirror 28, no. 1 (1942): 11–40. Ibn ‘Abdun, Muhammad Ibn Ahmad al-Tujibi (12th century CE). Seville Musulmane au debut du XIIe Sie`cle. Traduit avec une introduction et des notes par: E. Le´vi- Provenc¸al. Paris, 1947. Ibn Bassam al-Muhtasib, Muhammad Ibn Ahmad (d. 884/ 1479). Nihayat al-Rutba fý Talab al-Hisba. Baghdad: Matba‘at al-Ma‘arif, 1968. Ibn al-Ukhuwwa, Muhammad Ibn Muhammad (648–729/ 1250–1329). Ma’alim al-Qurba fi Ahkam al-Hisba. Cairo: Al-Hay’a al-Misriyya al-‘Amma lil-Kitab, 1976. Joncheray, M.J.P. ‘‘Le navire de Bataiguire.’’ Archeologia 85 (1975): 42–48. Kahanov, Yaakov. 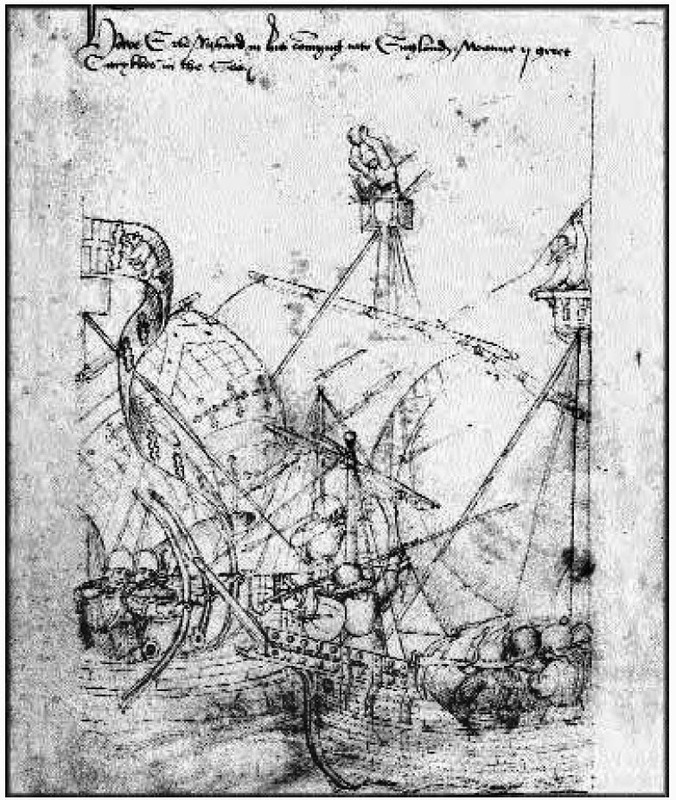 ‘‘The Tantura B Shipwreck: Preliminary Hull Construction Report.’’ In Down the River to the Sea, edited by Jerzy Litwin, 151–154. Gdansk: Polish Maritime Museum, 2000. Kaplan, Marion. ‘‘The History and Construction of the Dhow.’’ Available online at http://nabataea.net/ships. html, 2002. Kindermann, H. ‘‘Safýna.’’ In The Encyclopaedia of Islam. Leiden: E. J. Brill, 1995, vol. 8, 808–809. Kreutz, Barbara M. ‘‘Ships, Shipping and the Implications of Change in the Early Medieval Mediterranean.’’ Viator 7 (1976): 79–109. Lichtenstadter, Ilse. ‘‘Origin and Interpretation of Some Qur’anic Symbols.’’ In Studi Orientaliststici in Onore di Giorgio Levi Della Vida. Roma: Instituto per l’Orient, 1956, vol. 2, 58–80. Makrypoulias, Christos G. ‘‘Muslim Ships through Byzantine Eyes.’’ In Aspects of Arab Seafaring: An Attempt to fill in the Gaps on Maritime History. Ed. Yacoub Y. al-Hijji & Vassilios Christides. Athens, 2002: 179–190. Manguin, Pierre-Yves. ‘‘Late Mediaeval Shipbuilding in Indian Ocean: A Reappraisal.’’ Moyen Orient and Oce´an Indien 2 (1985): 1–30. Moreland, W.H. ‘‘The Ships of the Arabian Sea about A.D. 1500.’’ Journal of the Royal Asiatic Society of Great Britain and Ireland (1939): 63–74 and 173–192. Nicolle, David. ‘‘Shipping in Islamic Art: Seventh through Sixteenth Century A.D.’’ The American Neptune 49 (1989): 168–197. Nukhayli, Darwýsh. Al-Sufun al-Islamiyya ‘ala Huruf al-Mu‘jam. Alexandria: Alexandria University Press, 1974. Pryor, John H. ‘‘From Dromon to Galea: Mediterranean Bireme Galleys A.D. 500–1300.’’ In The Age of the Galley: Mediterranean Oared Vessels since pre-Classical Times, edited by Robert Gardiner, 101–116. London: Naval Institute Press, 1995. Rezq, ‘Assem M. ‘‘The Craftsmen of Muslim Egypt and Their Social and Military Rank during the Medieval Period.’’ Islamic Archaeological Studies 3 (1988): 3–31. Saqati, Abu ‘Abd Allah Muhammad Ibn Abu Muhammad. Un manuel hispanique de Hisba (Adab al-Hisba). Ed. G. S. Colin and E. Le´vi-Provenc¸al. Paris: Librairie E. Leroux, 1931. Shihab, Hasan S. Al-Marakib al-‘Arabiyya, Tarikhuha wa-Anwa‘uha. Kuwait, 1987. Steffy, J. Richard. ‘‘The Reconstruction of the 11th Century Serc¸e Liman Vessel: A Preliminary Report.’’ The International Journal of Nautical Archaeology and Underwater Exploration 11, no. 1 (1982): 13–34. Van Doornick, Frederick. ‘‘The Medieval Shipwreck at Serc¸e Limani: An Early 11th Century Fatimid-Byzantine Commercial Voyage.’’ Graeco-Arabica 4 (1991): 45–52. Wachsmann, Shelley and Yaakov Kahanov. ‘‘Shipwreck Fall: The 1995 INA/CMS Joint Expedition to Tantura Lagoon, Israel.’’ TheINAQuarterly 24, no. 1 (1997): 3–18. Yajima, Hikoichi. The Arab Dhow Trade in the Indian Ocean. Tokyo: Institute for the Study of Languages and Cultures of Asia and Africa, 1976. Zayyat, Habib. ‘‘Mu‘jam al-Marakib wal-Sufun fi al-Islam.’’ Al-Mashriq 43 (1949): 321–364. 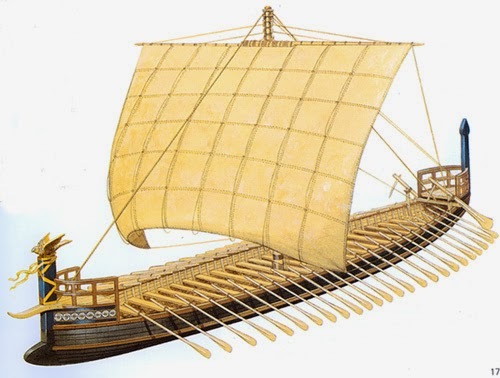 The ships which were the target of Hector’s attack in the Iliad were lightly built, easily launched, easily beached and easily relaunched again. To protect the Greek ships from Trojan assault, Agamemnon was in favour of hurriedly rowing them out to sea. He was dissuaded by Odysseus, but the physical possibility of such an emergency manoeuvre was not in question. The Homeric ships carried a single sail on a yard suspended from halyards. The prow and the stern were decked, but the intervening space amidships was occupied by rowers’ benches. Odysseus, as a passenger in a Phaeacian vessel, slept in the stern, on the flat surface of the deck-not under it. There was no lower deck. Already, in Homeric times, the construction of a merchantman differed from that of a war galley. References to merchant ships prove that they were comparatively broad built, and they apparently had a normal complement of 20 rowers. Fighting ships, which were also troopships, carried considerably more men. The rowers must, for the most part, have been fighters themselves, and there does not usually seem to have been any distinction between oarsmen and marines, such as existed on Greek warships in classical times. We learn that the rowers in Philoctetes’ seven ships were all skilled archers -like their leader. On the other hand, Agamemnon provided ships for the contingent from Arcadia-an inland territory-since the Arcadians were not a seafaring people and did not possess ships of their own. The context suggests that the Arcadians were not called upon to do the rowing either. Achilles sailed with 50 ships to Troy, and each ship carried 50 men. The Homeric narrative does not specify 50 rowers. Ships of the Boeotian contingent carried 120 men each. One cannot assume that all of them were rowers; if they were, they must have relieved each other at the oar. In any case, the number of rowers cannot always have coincided with a ship’s full complement. Odysseus lost six men out of each of his ships in his fight with the Cicones, those old Thracian allies of Troy, not to mention other casualties incurred at later stages in his voyage. If the rowers were all fighting men, casualties were to be expected; thus, the same ship cannot always have been propelled by the same number of oars. Warships seem to have been chiefly used for assaulting coastal cities and raiding littoral areas. There is no description of any naval engagement, properly speaking, between Greeks and Trojans. Sea fights, however, certainly took place in Homeric times, and the Greek ships were equipped for such fighting. When the Trojans attacked the ships on the beach, the Greeks met them with long, jointed boarding pikes, of a type used in sea fights. The pike wielded by Ajax was 22 cubits (about 36ft, 11m) long. The Trojans do not seem to have maintained a standing navy of any importance. When Paris sailed for Greece in search of the world’s most beautiful bride, a special shipbuilding programme was inaugurated for the purpose. Such at least was the story of the Cyclic poet. Presumably the coastal allies of the Trojans had navies to equal those of mainland Greece. At any rate, ships must have ferried their Thracian supporters across the Hellespont. Almost forgotten today is Sultan Mehmed II the Conqueror’s amphibious attack against Otranto, though in western Europe the Ottoman assault was easily the most electric news of the year. Southern Italy was an obvious target, because of its proximity to Albania and because Ottoman control of both sides of the Adriatic entrance would force Venice to obey the sultan’s will. Venice did not want to be seen to oppose the Turks. When they attacked Otranto in 1480, Venetian ships helped ferry Turkish troops across to Italy from Albania, though this met with official disapproval in Venice itself. 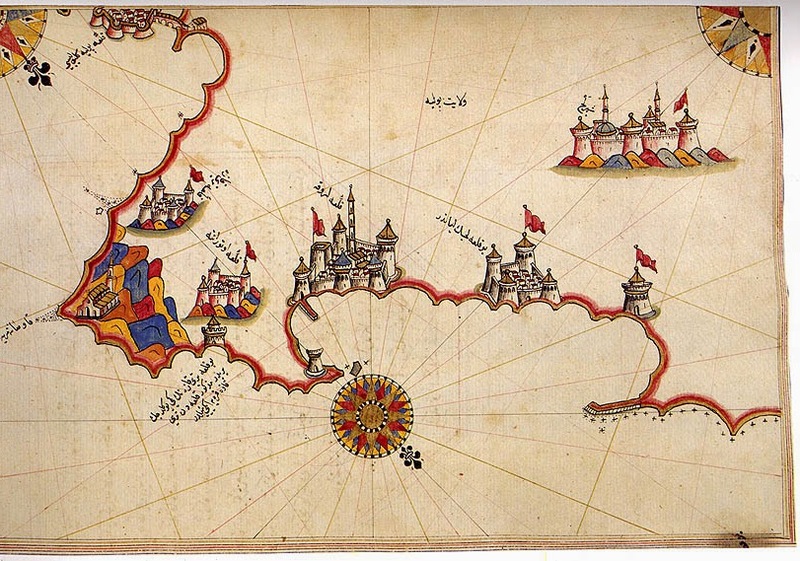 One hundred and forty Ottoman ships carrying 18,000 men crossed the Straits, including forty galleys. After the inhabitants of Otranto refused to surrender, the Turkish commander, Gedik Ahmet Pasha, made clear what would happen to the survivors and pressed on with his assault; the town possessed poor defences and no cannon, and the outcome was predictable. On capturing the city Ahmet Pasha slaughtered the entire male population, leaving 10,000 people alive out of about 22,000; 8,000 slaves were sent across the Straits to Albania. The elderly archbishop was struck down at the high altar of Otranto Cathedral. The Turks then fanned out across southern Apulia, raiding neighbouring cities. The king of Naples, Alfonso V’s son Ferrante, had sent his armies into Tuscany, but once his troops and ships were ready he was able to launch a successful counter-assault. Even when the Turks withdrew, they made plain their intention of returning and conquering the Apulian ports, while rumour enlarged this into a grand army ready to attack both Italy and Sicily from Albania. The siege of Otranto was an enormous shock to western Europe. All the Christian powers in the Mediterranean offered help against the Turks, notably Ferdinand II, king of Aragon and cousin of Ferrante of Naples. The conspicuous exception was Venice, claiming to be too tired after decades of conflict with the sultan’s armies and navies. Turkish raiding parties had started to penetrate into Friuli, an area of northeastern Italy partly under Venetian dominion – on land as on sea the Turks were threateningly close, and the Venetians preferred appeasement. The Venetian consul in Apulia was advised that he should express his satisfaction at the Christian victory to the Neapolitan king orally and not in writing; written messages were often stolen by spies, and the Serenissima Repubblica was fearful that the sultan might see a purloined letter of congratulations and blame Venice for its two-faced outlook. The immediate danger of a further attack on southern Italy disappeared with the death of Mehmet in May 1481. He was only forty-nine years old. During the coming years western rulers such as Charles VIII of France and Ferdinand of Aragon would make the war against the Turks a central area of policy. Both these rulers took the view that, if they controlled southern Italy, they would be able to lay their hands on the resources needed for a grand crusade and use Apulia as a convenient launching-pad for attacks on Ottoman lands, which now lay so close; both also had controversial claims to the throne of Naples, notwithstanding the presence of a local dynasty of Aragonese origin. Charles VIII’s invasion of southern Italy, in 1494-5, brought him mastery over Naples, but his position proved unsustainable, and he soon had to withdraw. In August 1480 about 10,000 Turkish troops landed, a large force at the time, and they easily took the small city after a brief, three-day siege. The seizure was only the opening operation of a larger intended conquest of Italy: Realizing full well the danger at hand, all the Italian states rallied to the defence of Christendom (except Venice, whose commercial connections in the East were always a complication), pledged themselves to a formal Holy Alliance against the Turk and sent money and men to help the King of Naples remove the Turkish bridgehead. After the conquest, the Ottomans strengthened the city’s defenses and raided the surrounding countryside, attacking Lecce, Brindisi, and Taranto. Ottoman success terrified the Italians, and some feared the fall of the kingdom of Naples or even of the whole of Italy to the Ottomans. Ferrante, the king of Naples, sent an army in September 1480 that prevented further Ottoman advance, and leaving a small garrison in Otranto, the main Ottoman forces sailed back to Vlore. Ferrante demanded an Ottoman surrender and the payment of compensation for the damage inflicted on the kingdom of Naples. This was rejected by the Ottomans, who instead proposed peace based on retention of Otranto and secession of Brindisi, Lecce, and Taranto. To back up their demands, the Ottomans threatened a major invasion of Italy the following year if Ferrante did not comply. Ferrante appealed to Pope Sixtus IV and the other Italian powers for help. Amid an upsurge of crusader spirit in face of this infidel danger very close to home, an alliance between the pope, the dukes of Milan and Ferrara, the kings of Naples and Hungary, Genoa, and Florence (but without Venice) was concluded in September 1480. Through the winter of 1480 and into the following year the allied Italian force maintained a blockade, but the decisive event of the siege occurred back in Constantinople – the sultan’s death in May 1481. The resulting concentration of political energy on the capital eliminated the possibility of reinforcing Otranto, and so in September the Turkish garrison surrendered on terms (they were none the less put to death in revenge for the thousands of Christian captives massacred or sold into slavery). Many Europeans had not expected a Turkish defeat. Sensing a looming tragedy, during the siege a German cleric had made his pilgrimage to ‘the Eternal City before … it was taken by the Turks’. In 1481 the fall of Rome to the sultan was scarcely less imaginable than had been the fall of the second Rome, Constantinople, twenty-eight years before. Over the next generation, wild rumours and prophecies flourished in Italy and Europe: that the Pope had been seized by Barbary pirates, or that the sultan would take Rome, but turn Christian and usher in the next age. Ancient Egypt was a civilization that flourished along the valley and delta of the NILE RIVER in northeastern Africa for more than three millennia, from before 3300 B.C. until 30 B.C. Many of the themes associated with ancient Egyptians are familiar: the great pyramids and their burial chambers; sphinxes and other statues combining human and animal forms; large temple complexes; and hieroglyphics. Their place in the history of exploration is not so widely known, however. Egyptian history is divided into periods for purposes of study. In prehistoric times, the people who became the ancient Egyptians migrated from western Asia to the Nile and settled among indigenous Africans. By about 3500 B.C., in predynastic Egypt, two kingdoms competed with each other, referred to as Lower Egypt of the Nile’s northern delta area, and Upper Egypt to the south. Their unification in about 3000 B.C. led to a succession of 30 dynasties of native pharaohs (or monarchs) and an expanding empire. For purposes of study, the dynasties are grouped into the Old Kingdom (or Old Empire), the First Intermediate Period, the Middle Kingdom (or Middle Empire), the Second Intermediate Period, the New Kingdom (or New Empire), the Third Intermediate Period, and the Late Period. In the Second Intermediate Period, the Hyksos, a Semitic people from Syria, ruled Egypt; and, in the last two stages, after a long-term war with the Hittites of Asia Minor, which weakened the Egyptian Empire despite a treaty in about 1290 B.C., other peoples held power for a time—the Libyans, Nubians, Assyrians, and Persians—but native leaders did manage to come to power once again. The conquest of the region by Macedonian ALEXANDER THE GREAT in 332 B.C. led to a hellenized culture in Egypt (that is, a culture influenced by the Greeks). A succession of Greek rulers known as the Ptolemies—Ptolemy I to Ptolemy XIV—ruled through 30 B.C., when the Romans annexed the region. In the course of their history, the Egyptians developed their maritime skills on the Nile River and eventually ventured into the MEDITERRANEAN SEA and the RED SEA as well, although their GALLEY ships were not as seaworthy as those of other ancient exploring peoples in the region, and they did not apparently venture as far west as did the Minoans and Phoenicians. The Egyptians sought raw materials and products from ancient kingdoms to the east into Asia and to the south and west into Africa, such as lumber, precious metals, and spices, as well as slaves and exotic animals. They also engaged in conquest and, under Thutmose III during the 18th dynasty (during the New Kingdom) in the mid-15th century B.C., controlled territory eastward into Asia as far as the Euphrates River, including some Phoenician cities and all of what is now Syria. The earliest recorded sea voyage (although there had no doubt been countless beforehand) involves the Egyptians of the Old Kingdom. In about 2780 B.C., according to their picture writing known as hieroglyphics, Snefru, the first pharaoh of the fourth dynasty (during the Old Kingdom), sent a trading expedition—probably across the eastern Mediterranean to the Phoenician city of Byblos near present day Beirut, Lebanon—to trade for cedar logs. Moreover, the earliest actual explorer on record was an Egyptian, HANNU, who in about 2450 B.C., during the fifth dynasty (during the Old Kingdom), journeyed southward for the pharaoh Sahure via the Nile to the land of PUNT—the exact location of which is unknown—for precious metals and spices. Another early explorer was HERKUF, an Egyptian governor of a southern province, who, in about 2270 B.C., during the sixth dynasty (of the Old Kingdom), led a trading expedition for the pharaoh Mernera from the upper Nile River southward to the interior of central East Africa. In about 1492 B.C., during the 18th dynasty (during the New Kingdom), Egyptian queen HATSHEPSUT (Thutmose III’s stepmother), who had assumed the power of pharaoh after the death of her husband, sent a trading expedition under her lieutenant Nehsi down the Red Sea to what is again identified as the land of Punt. And, in about 600–597 B.C., during the 26th dynasty (during the Late Period), the pharaoh NECHO II commissioned a Phoenician maritime expedition into the Red Sea and Indian Ocean, which perhaps circumnavigated Africa. During the reign of the Ptolemies, there were other expeditions as well that helped unite the ancient world. In 120–115 B.C., EUDOXUS, a Greek navigator in service to Egypt, made two trips across the Arabian Sea to India. On the second journey, he made a landing on the coast of East Africa. Eudoxus also attempted a circumnavigation of Africa. And, in A.D. 45, HIPPALUS, another Greek in service in Egypt, located a more direct route from across the Arabian Sea out of sight of land to India. Hannu, also referred to as Hennu, the name of a sacred boat in Egyptian mythology, was an Egyptian mariner during the Fifth Dynasty. Based on hieroglyphics of the Egyptians, in about 2450 B.C. (although some sources indicate three decades earlier), Hannu and a force of some 3,000, sent by the pharaoh Sahure, traveled southward by way of the NILE RIVER, then overland, reaching the land of PUNT—possibly parts of what is now Sudan, Eritrea, Ethiopia, and Somalia—and the Arabian Peninsula. He reportedly returned to Egypt by the RED SEA with precious metals and spices, including gold and silver, as well as ebony and myrrh. Hannu’s journey is the first recorded expedition for the purpose of exploration. Herkhuf held the position as governor of one of ancient Egypt’s southernmost provinces during the reign of the pharoah Mernera of the Sixth Dynasty. In about 2270 B.C., Herkhuf undertook a trading expedition up the Nile into equatorial East Africa, which brought back a cargo of ebony, ivory, and frankincense, the latter commodity being highly valued for embalming and for use in religious ceremonies. Under Herkhuf ’s command, additional expeditions ventured into the regions south of Egypt, returning with more valuable items from the tropics. He also reportedly brought a native captive from the upper Congo River (Zaire River) region. Herkhuf ’s trading enterprises constitute some of the first long voyages to be undertaken by EGYPTIANS and provide an early record of the earliest known contacts between the ancient civilizations of the eastern MEDITERRANEAN SEA and those in the interior of Africa.